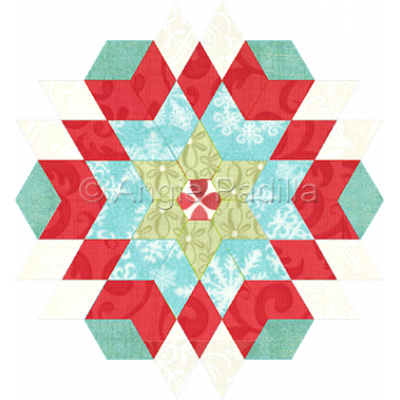 Take a little break from hexies and make diamonds your next English Paper Piecing project! 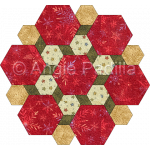 Use some favorite Christmas fabrics, or choose other colors for any other time of the year! 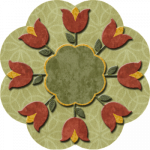 This delicate and charming little mat is sure to delight the appliqué lover! 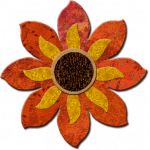 Designed origina.. 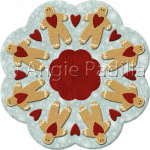 These eight little gingerbread men are here to warm your heart! 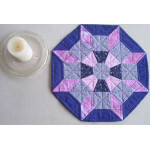 This project also presents an opport..
English Paper Piecing is not just about hexagons! Try your hand with squares and triangles in this c.. Mix two sizes of hexagons with diamond shapes for a simple yet elegant little piece. 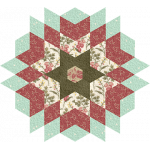 Small projects ..
Are you addicted to English Paper Piecing? 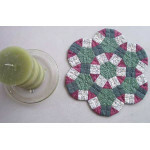 How about trying out a broader variety of shapes - no hex..
Delicate and simple. 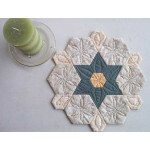 Use soft creams or tans as the backdrop for this elegant candle mat. 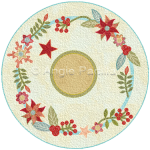 Add some l..
Delicate and elegant, this beautiful little mat can actually be used all year long! Finished siz.. This little mat requires only small amounts of fabric... you can even use up little scraps left over..
Soft prints make this lovely little mat a joy to work on. 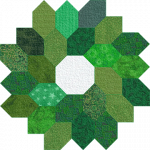 A great project for the English Paper Piec..
A fun and really easy project for the English Paper Piecing lover, this little wreath takes just a..